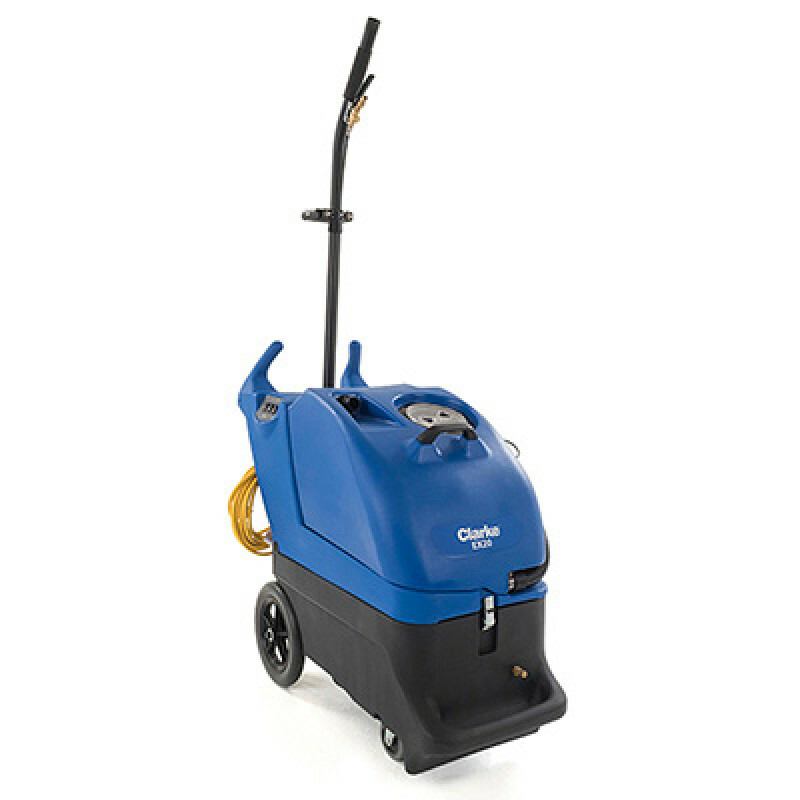 The Clarke EX20 heated carpet cleaning machine was designed with ease of maintenance and transportation in mind. The clamshell design allows easy access for servicing. Finger grips and handle provide assistance when lifting the extractor into a vehicle for transport. Large non-marking rear wheels allow for maneuverability and ease of stair climbing. The EX20 heated carpet machine features instant heat to 212°F at the wand tip. In addition, the heater has only a 10°F variable so the water stays hot. An independent circuit locator identifies when the machine is plugged into separate circuits to prevent blown circuits. The high temperature water, combined with a low flow rate leads to fast dry times. The Clarke EX20 carpet extractor has the unique feature of an onboard storage of a floor tool. In addition, there is an onboard compartment for storing chemical bottles, hand tools or other cleaning items. 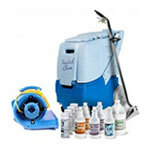 Combined with the cord hooks, this machine has self contained storage for the standard cleaning tools. If you're looking for a slightly smaller unit we also offer the 5 Gallon upholstery and car detailer as well as the Sandia heated portable carpet machine in our heated box extractors category.